Do you want to create a knock-your-socks-off birthday or holiday gift for someone in your life? You know all that great stuff people say at funerals? All the wonderful stories + appreciations + affection? You know all that wow-we-love-this-person conversation? Imagine if that person got to hear it. Imagine that you could say it now. Because the truth is, life is fleeting. It’s fragile. Sure, we all hope that we have many years left to live. We like to trust that nothing will happen to anyone we love. But honestly, We just don’t know. And besides, if we do have many years left with the people we love, wouldn’t it be wonderful to start those years with an amazing and beautiful gift of love that brings us closer + deepens our relationship? What is a Celebration Book? 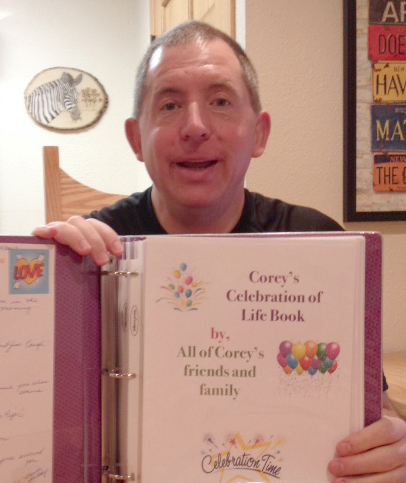 Celebration Books are gifts of love that last a lifetime: one-of-a-kind tribute books that are chock-full of stories, wishes, and photographs from a group of someone’s friends, family, or colleagues. The books are like magic mirrors that reflect back all the love, adventures, and joy that make up the storyline of someone’s life. They’re really amazing gifts that bring tremendous joy to the participants, as well as the recipients. Why create a one-of-a-kind book for someone you love? They’re a touchstone for someone to always know how lovable they are. Face it, everyone needs to know that they are seen and loved. These books are a tangible reminder of that love. They focus on the good. In this digital world where everything is archived, buried, or deleted within minutes, having an actual book to hold, re-read, and keep forever is so important. People re-read their Celebration Books over and over. They leave a legacy + family history. Celebration Books can be passed down through the generations so someone’s spirit will always live on and be appreciated. All you’ll need to provide besides your time is a binder, some clear pocket sleeves, mailing envelopes, and stamps. Don’t worry, I’ll walk you through a variety of sources for getting those things. In fact, I’ll walk you through absolutely everything you need to do to create this amazing gift. It isn’t hard at all. It just takes a commitment to being the kind of person who practices appreciation. 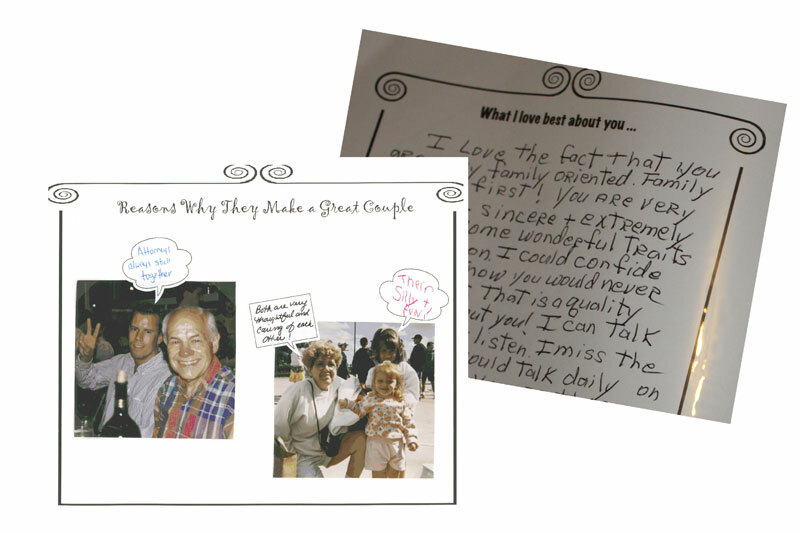 Step-by-step instructions for creating an amazing tribute book. By the end of this class, if you follow along with us, you’ll have a ready-to-present gift in time for the holidays. Nope, you don’t have to re-invent the wheel. I’ll send you printable pages that make it oh-so-easy. Go-get-’em inspiring audio and video. Don’t worry, I’ll lead you right to where the water is. No need to do any heavy lifting when it comes to finding resources for needed supplies. I won’t let you trip up by presenting this amazing gift under the wrong circumstances or wrapped in torn tissue. In a culture where it might feel awkward or uncomfortable to tell someone how much they mean to us, these books give us a way in. A whole new way of looking at gift giving that will spark tons of other ideas. Sherry sprinkles inspiration in throughout the class to help you get grounded in a way of seeing gift giving as a way to deepen relationships and create more joy/celebration in your own life. A repeatable process to use over and over again. Once you learn the process, you can easily make books for LOTS of people you love. A free 10-pak of Love List Templates. Unlimited email support as you create your Celebration Book. The online course walks you through all the simple steps to create this great gift. But if you need extra support or have specific questions about your project, you’ll be able to email me anytime you want for extra help. Still not sure? Watch the Welcome Video from the class and see what you think! I guarantee that your Celebration Book recipient will be moved and delighted by this gift from you. If not, just email me and I will refund your money. I want you to be happy.